Inspired by another uplifting whale story, I created this collage titled “Free To Be”. Two words that come to mind when I look at this happy Orca are — “PLAY” and “FREE”. When is the last time you played– just for the fun of it? Sometimes, I get so preoccupied with lists, errands, & chores that I have to remind myself that play is equally important. My imagination & creativity (& sanity) rely on a healthy dose of playtime. That’s why I garden, hike with my boyfriend, chase my dogs around the yard, eat cookie dough ice-cream out of the box, & create upbeat art. What sounds like fun to you? Think about it. The first idea that makes you laugh out loud is the idea I want you to try… the sillier the better. Do something just for the sheer joy of doing it. See how it stimulates your creativity. Include the people you love & share the fun. Free To Be… what a concept! 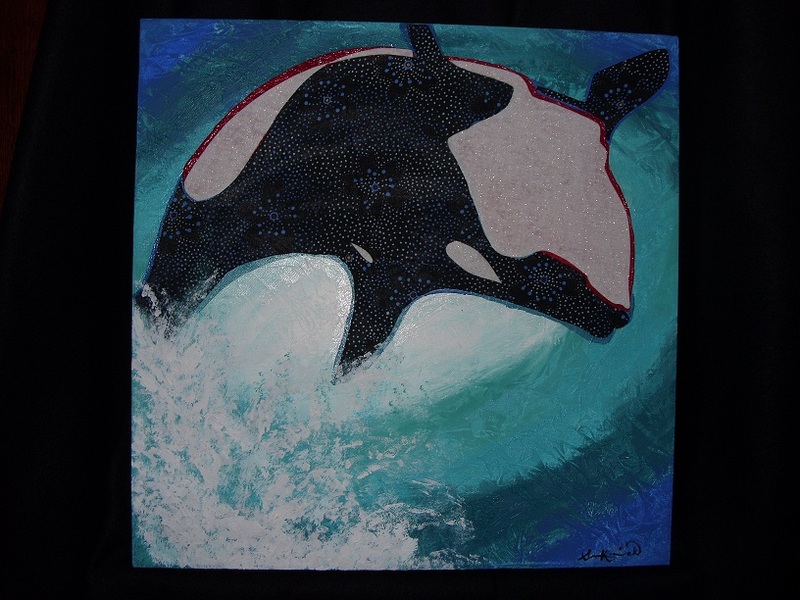 This entry was posted in A Window on Life, Art and Soul, My Love for Nature and tagged art, collage, creativity, freedom, imagination, inspiration, joy, love, play, whale by puresusan. Bookmark the permalink. I am going to watch this clip. Beautiful artwork too! Thank you for telling us about the video, I watched it! Very cool… as is your collage!